Let’s admit it, for most of us blogging can be a pain — writing simply doesn’t come naturally to some and it’s hard to squeeze in time to do it consistently while we are running our own businesses. But do you know just how beneficial blogging can be for your small business? One of the most important things that search algorithms look at when they rank websites is content. Do you produce fresh content consistently? Are they of high-quality? Are they relevant and valuable to the searches you are hoping to rank for? SEO doesn’t stop with your website copy. Algorithms such as that of Google and Bing are always on the lookout for ways to provide the best answers to searchers, and content is a big part of the criteria. By blogging consistently, you are giving Google, Bing, as well as other search engines new content to index. Moreover, blogging helps you create opportunities to plug in those all-important keywords to increase your visibility on search engine results pages (SERPS). If you think Thought Leadership isn’t for small businesses, think again. 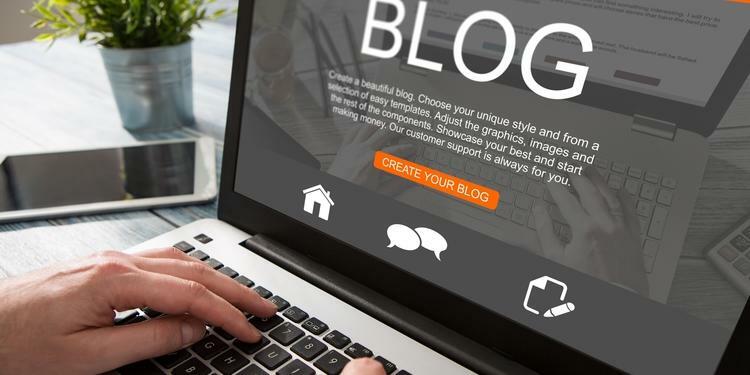 No matter how small your business is, blogging helps you build trust and clout within your industry by providing valuable information surrounding your expertise in your blog posts. With high-quality, valuable content, you become a “go to” resource for your target audience over time. 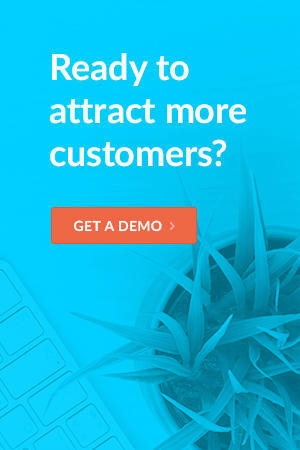 This can ultimately lead to higher customer conversion rates as your customer base develops trust. This is especially important for small or new businesses looking to gain credibility to compete with larger companies. A word of advice here, however, blogging should not be about “you” and by you, we mean your business, your services, or your products. Write on topics surrounding your expertise that your target customers may be concerned about and make sure every article you produce is helpful and truly valuable for the reader. Blogging is a great way to engage both with your prospects and existing customers. By asking questions at the end of your blog, allowing comments or feedback, responding to them with enthusiasm, showing a little personality, adding elements of fun, and offering sincere as well as valuable advice, you can get your readers to engage. This opens the line of communication between you and your readers and transforms your blog into a two-way conversation. By reviewing and responding to readers’ comments in a timely manner, you are ultimately creating rapport between you and your audience. Moreover, you are building trust as well as gaining valuable insight into what your customers care about. By writing and posting blog posts, you are allowing your audience to see a personal side to your business. This is a great window for potential customers to see what kind of business you operate. Is it one that cares about its customers? Is it a business that is passionate about its craft? Is it one that values its people and its customers? Blogging allows you to showcase your brand and highlight what makes it different in a way that people can’t see through other marketing activities. Blogging gives others a sense of your standards, your vision, and personality of your company. Every time you publish a blog post, you are creating an opportunity for your audience to share your blog with others, therefore widening your exposure. If you take the time to post your blogs regularly on social media channels, you are enabling your customers to link to your blog posts, email them to others, or share them in social media. If you think about it, it’s free marketing. Not only that, but the minute your followers, prospective customers, or current customers share your content, they are giving your business further validation and credibility. As long as you blog about matters that are valuable to your customers, blogging is a wonderful marketing strategy that can bring you fruitful benefits. Just remember to blog consistently and share your blog posts across your social media channels. If you are having a hard time writing or committing to doing so regularly, you can always hire fairly affordable freelance writers that have experience with SEO and your industry.